WEST HOLLYWOOD, California, May 1, 2018 /PRNewswire/ — In conjunction with his sold-out 24K Magic World Tour, Bruno Mars has launched his award-winning SelvaRey Rum to major fanfare in Japan and the Philippines. 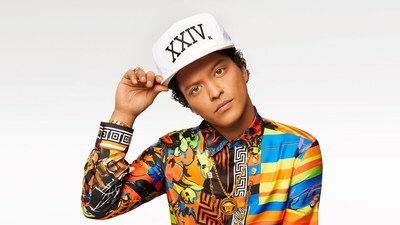 During Bruno’s four sold-out shows at Japan’s Saitama Super Arena, the second largest indoor arena in the world, both SelvaRey White and SelvaRey Cacao were heavily featured with signature cocktails and bottles sold in exclusive tour packaging. Extensive lines wrapped around the venue hours before showtime and both the cocktails and bottles sold out early each day. Surrounding the shows this month, SelvaRey amplified their presence with a series of high-visibility activations in Tokyo’s legendary entertainment district of Roppongi. Specialty cocktails, promotions, tastings, pop-up bars and events filled the leading establishments in the upscale area renowned worldwide for its nightlife. Early results have far surpassed the brand’s expectations and SelvaRey already anticipates becoming the best-selling super-premium white and flavored rum in Japan in 2018. The Asia launch continues in Manila May 3rd-4th at Mars’ sold-out shows at the Mall of Asia Arena. The SelvaRey Cocktail Bar will highlight fresh, seasonal ingredients and top local bartenders. The brand will again showcase exclusive digital content, VIP activations, and bottles for sale in 24k Magic World Tour packaging. With Mars’ well-documented Filipino heritage and the 10 million+ case rum market in the Philippines, SelvaRey anticipates making a substantial impact in the coming months and years. Hong Kong, Thailand, and Singapore are next, with targeted launches in prestigious hotel/restaurant properties and social clubs scheduled for later this spring. SelvaRey White, a blend of three- and five- year-old rums, is made by one of the world’s most renowned master blenders. Unlike many white rums, SelvaRey has been crafted with the distinct goal of being fine enough to sip on the rocks. Yet it makes a superlative Rum ‘n’ Coke, an extraordinary Mojito and is ideal in classic cocktails. SelvaRey Cacao, the world’s premier, award-winning chocolate spirit, boasts a rich five-year-old Panamanian rum infused with natural chocolate. Most notably and unlike many other flavored rums, SelvaRey Cacao Rum can be sipped neat or on the rocks but also combines beautifully in coffee cocktails such as an Espresso Martini and creates a unique spin on countless classics.